Published by Mountainblog on 02/02/2016 . 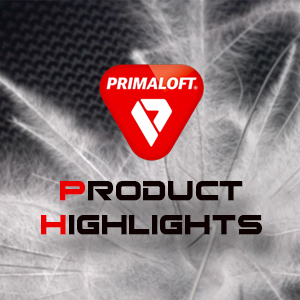 PrimaLoft® expands portfolio with Gold Insulation Active the right technology for high aerobic sports and all high active activities that need insulation and breathability. At ISPO 2016, Jochen Lagemann (PrimaLoft Managing Director Europe and Asia) presents this new technology that also offers great standard of flexibility and durability. Watch the video interview! Video shooting and editing: Andrea Monticelli. 25 years ago, PrimaLoft products originally developed as synthetic alternative to down, moving now into the second season with the new innovation of PrimaLoft® Performance Down Blend. It is a homogeneously blended hybrid insulation of water-repellent PrimaLoft® ultra-fine fibers and environmentally-safe treated premium down that maintains up to 95% of its warmth when wet, depending on Gold or Silver product series. 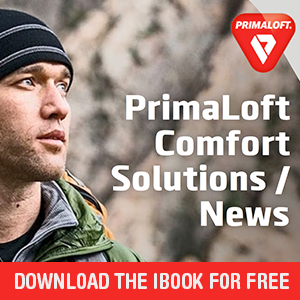 More than 30 brand partners launched new collections with this innovative technology at ISPO. Each of them interpreting the PrimaLoft® Performance Down Blend technology differently into their collections, combining function with a sport fashion style or implemented into either a high technical mountaineering gear or generally for the outdoors and winter sports. All brand partners did a superb job of creating jackets, sleeping bags or gloves positioned with their brand values and for a specific activity. There are even solely fashion brands outside of the outdoor industry using the breakthrough hybrid innovation.